The Farmland known as “Huerta de Lleida” is an area with fertile soils, hot summers and cold foggy winters. In 1930, the young couple, Francisco Serò and Josefa Biosca married. On 3 hectares of land, they cultivated assorted vegetables, fruits, almonds, wine grapes, olives, etc. They also grew pear varieties which were known in the 19th century, such as the “Tendral” pear from Valencia, the “Cuixa de Dona” and “Colorada de Julio” pear varieties, among others. 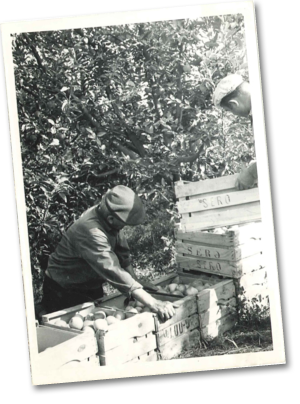 Thanks to their dedication to improvement and hard work in 1952, they planted the first “Limonera” pear trees, an early variety which was unknown in this area until then and it is still cultivated today. At that time, they did not use pesticides or fertilizers; their only tools were hard work and gazing at the sky, trusting that the weather would respect the harvests. They had two children, a daughter and a son, Josep. Josep worked on the family farm and in 1961, he married Dolores, with whom he had two sons, Marcel and Xavier, who continued to work the lands. 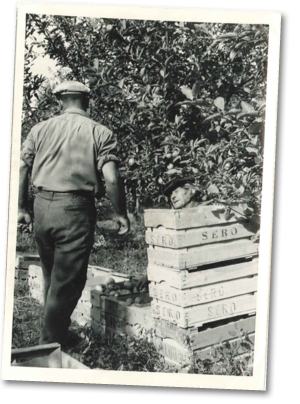 Thanks to the higher yield of these varieties and very fertile fields, they were able to acquire additional lands, up to 20 hectares, where like their parents, they innovated by planting new species such as the Conference pear, peaches and nectarines. 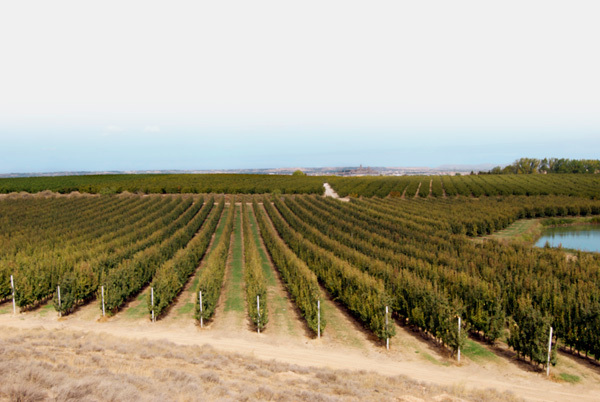 In 1982 at the tender age of 16, Xavier followed his parent’s and grandparent’s path and decided to install drip irrigation; they were the first irrigation systems in this area and increased the harvest and quality of the fruit, above all the peaches and nectarines. Today, the brothers, Marcel and Xavier, are third generation producers. They have 150 fertile hectares and a large packaging plant of 10,000 m2.